The American Sign Language (ASL) interpreter had just finished her interpreting assignment and was just leaving the building when she was approached by two very curious members of that prior audience. 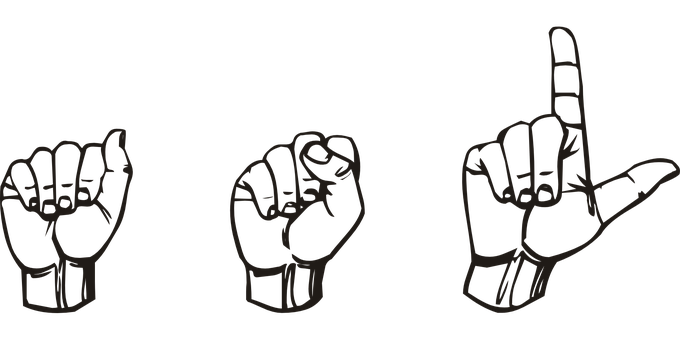 (1) American Sign Language, mostly called ASL, incidentally happens to have some known worldwide features compared to other world signed languages. (2) Shared linguistic universal characteristics of some world signed languages have sometimes been known as contact variety. These are known characteristics which make it possible for users of different signed languages to come together and invent strategies to communicate. There are, of course, countless examples of contact number in signed languages, following is just 1 example. This scene occurs just outside a huge grocery store: Sandra (not her real name) is an adult Deaf and native ASL user. Andrew (not his real name) is a native English Language hearing person. As Andrew steps out of the shop, he sees something unusual happening with Sandra and says, You seem lost, can I help you? Sandra sees Andrew’s concerned look and answers with the motions like handling a car’s steering wheel while her eyes pan the parking lot. Andrew might not know any sign language but can gather from gestures that Sandra is searching for her car. In this scenario, putting together the primary components of communication we note three universal attributes which are; appearing lost, steering wheel, and eye-gaze. Andrew has gathered the major point of the message being conveyed, therefore allowing for communication to happen. (enter paper and pencil, yes, Andrew helps her locate her car). Back to the two curious observers watching the ASL interpreter with their question: Is ASL a universal language? No, it is not, but it will have some universal features which make communication possible. And just as hearing people have the propensity to communicate in spoken languages along with different nations, so do deaf people in ASL, other signed languages, and with other members of disadvantaged communities across the world.